UPS Access Point™ locations are part of the UPS network and provide a convenient package pick-up or return service in your area. UPS Access Point™ locations are often found at newsagents, grocery stores, shopping centers etc. You can use the UPS Access Point™ network in a variety of ways due to its long opening hours and save on shipping at the same time (3,57 € incl. VAT / 3,00 € excl. VAT). 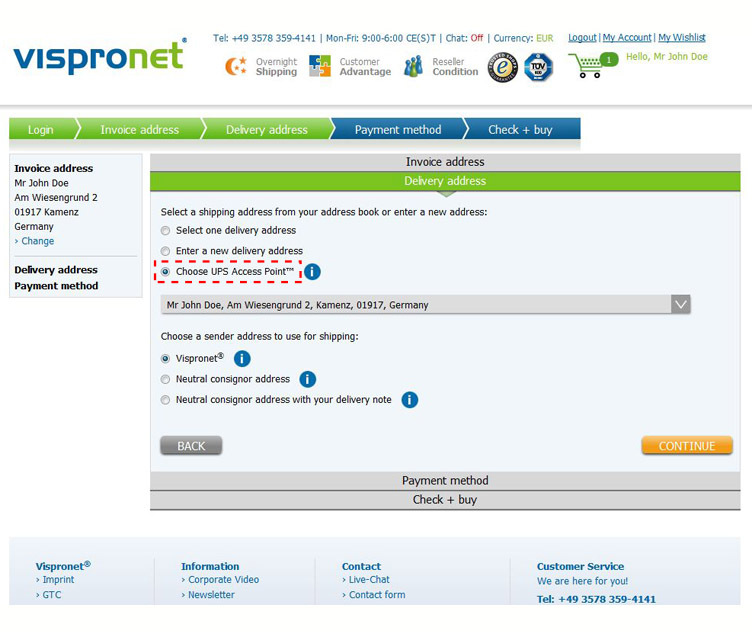 Parcel Deposit: if you have a shipment sent directly to your home and the parcel could not be delivered, you will receive a written notification requesting you to pick up the parcel from a nearby parcel shop - UPS Access Point™. 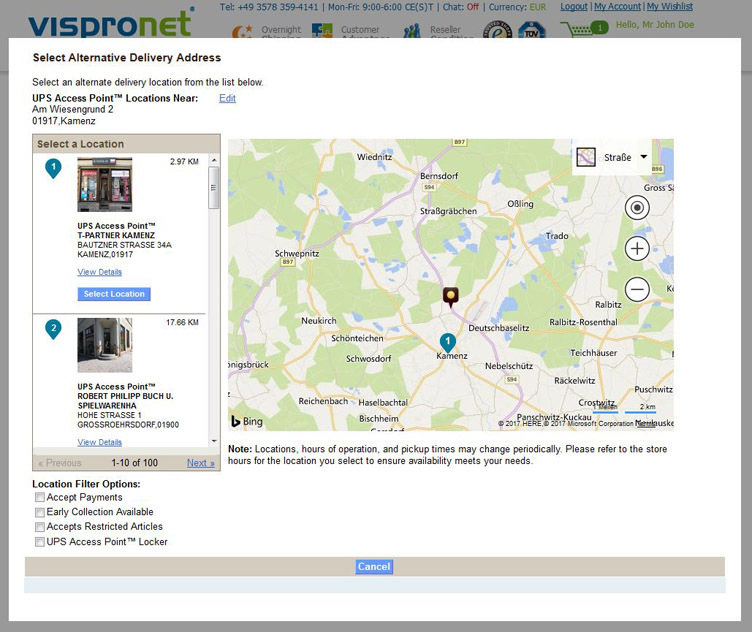 Parcel Return: you can leave parcels in a parcel shop - UPS Access Point™ - near your home or work for return shipping. Please note that opening times may vary in each location. Additionally, parcels may not exceed a maximum weight of 20 kg and a maximum length of 90 cm. This check takes place automatically with Vispronet®. Accordingly, the delivery option "Parcel Shop - UPS Access Point™" will be shown or hidden during the ordering process.